While it may not be something that you want to think about, septic systems will fail at one time or another. There are septic tank systems that will last for many years if you take the time to pump and maintain on a regular basis. 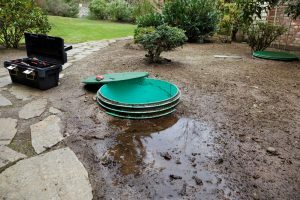 However, when you find yourself in need of a septic tank system replacement in Granite Falls, you need professionals on your side who will get the job done quickly and efficiently. There are a lot of homeowners that tend to forget about their septic system until the time that something starts to go wrong. It is important to take care of your system with regular pumping and maintenance if you would like to prolong the life of it. With that being said, there is going to be a time when a septic system will be in need of major repairs. If there is something too big to fix, there will have to be a full replacement done. No matter what you need on your property, whether it is residential or commercial, the staff at Schleg Valley Construction can take care of it for you. We can have a professional come out to your location to do a walk through and discuss the symptoms that you have been noticing. During the time that we are on your property doing an assessment, we will ask you questions about the regular use of the septic system, any of the treatments that have been done, and more. Should it seem as though we need to do any testing or perform a further inspection, we will either take care of it that day or we will send someone back at another time to take care of that for you. If you are in need of professional septic tank system replacement in Granite Falls, you can look to Schleg Valley Construction. Call (425)312-6750 today.